Freshman Addison Lathrop takes her turn at bat. The Lady Bison have a record of 5-1 in round one of district and have already started round two of district with a win against Crockett. The winning record is a new experience for the Lady Bison team, which has struggled for the past few seasons. The girls are hoping to continue to execute and make it to playoffs, which hasn’t happened since 2009. The girls know that earning their spot will be just the first step. 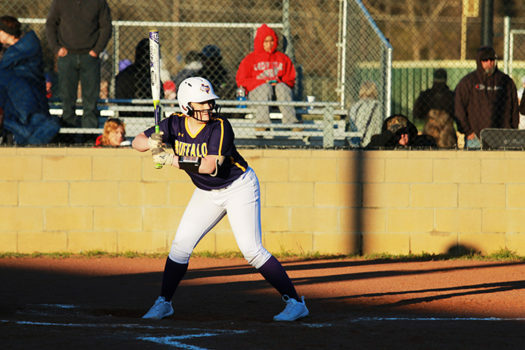 The Lady Bison defeated Crockett, Elkhart, Teague, Frankston and Westwood but fell short against Groesbeck.